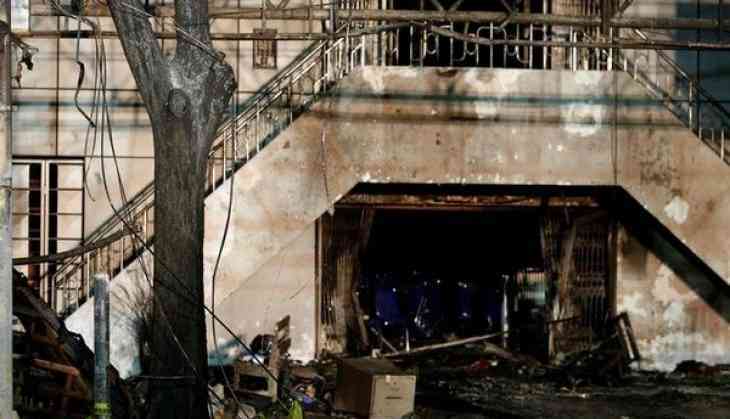 The son of a Surabaya bombing victim said that the family had forgiven the ones responsible, during the funeral for his mother, Lim killed in the blast at Saint Mary Immaculate (SMTB) Catholic Church. Kurnianto said his mother was on a business trip to Surabaya with her friends and were staying in a hotel that was near Surabaya Cathedral. According to a CCTV footage that he had seen, he said when the bomb exploded, his mother was right next to the bomber's motorcycle in front of the church, as per Jakarat Post. "I trust the nation's security apparatus and that they had been diligent," he added. On May 13, family including their four children carried out the suicide attacks on three churches in Surabaya, Indonesia's East Java province killing seven people. The attackers included two daughters aged 9 and 12 years old. All of the six bombers died, CNN reported. It is believed that the parents belong to Jamaah Ansharut Daulah, a terrorist group that supports Islamic State of Iraq and and Syria (ISIS) in Indonesia.